"A story both intimate and epic that paints a vivid picture of Midwestern farm life." From the beginning of the twentieth century to World War II, farmwife May Lyford Davis kept a daily chronicle that today offers a window into a way of life that has all but disappeared. 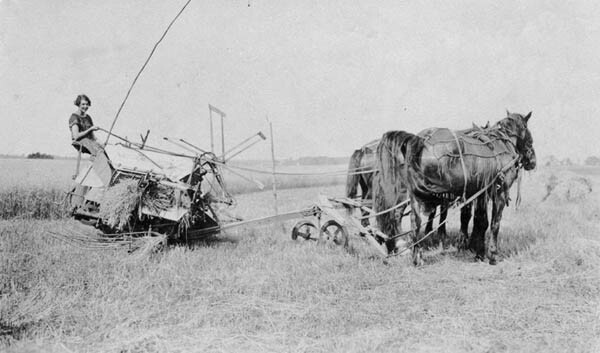 May and her husband Elmo lived through two decades of prosperity, the Great Depression, and two World Wars in their Midwestern farming community. 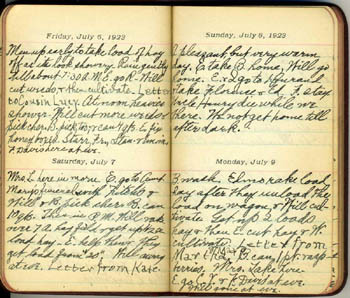 Like many women of her time, Davis kept diaries that captured the everyday events of the family farm; she also kept meticulous farming accounts. In doing so, she left an extraordinary record that reflects not only her own experiences but also the history of early twentieth-century American agriculture. May and Elmo's story, engagingly told by Carrie A. Meyer, showcases the large-scale evolution of agriculture from horses to automobiles and tractors, a surprisingly vibrant family and community life, and the business of commercial farming. Details such as what items were bought and sold, what was planted and harvested, the temperature and rainfall, births and deaths, and the direction of the wind are gathered to reveal a rich picture of a world shared by many small farmers. 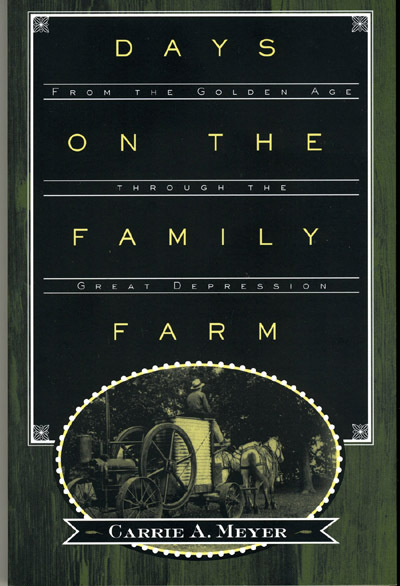 With sustainable and small-scale farming again on the rise in the United States, and another great recession upon us, Days on the Family Farm resonates with both the profound and mundane aspects of rural life---past and present---in the Midwest.